Spencer Hickman, the head honcho over at Death Waltz discussed this announcement over at Spin The Black Circle (a forum dedicated to vinyl fans, and I suggest you sign up for), and said that one record will be ‘cherry colored‘, while the other one will be ‘coffee colored‘. This is in reference to a few things from the show. 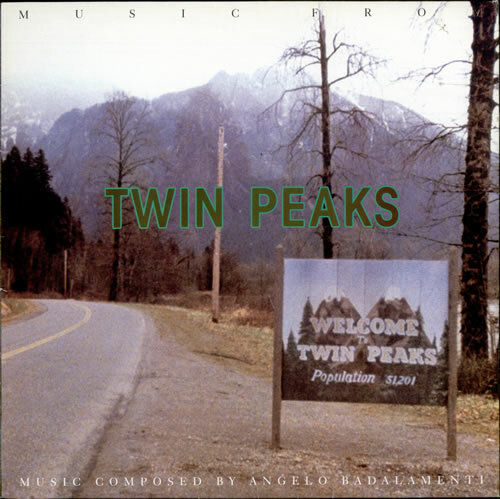 Angelo Badalamenti’s cool score came out in 1990 from Warner Bros., but has not been re-issued since. Neither has the film ‘Fire Walk With Me‘, which again, was the companion piece to the tv show. Again, both of these soundtracks will be available. We do know that the artwork for both releases have been approved by Lynch himself. We will keep you updated on artwork, track listings, and other information pertaining to this. But rest assured, Death Waltz has some cool releases coming out in the next few months, including a couple for Record Store Day. This entry was posted on Thursday, February 13th, 2014 at 4:29 pm	and is filed under Music, News, Television. You can follow any responses to this entry through the RSS 2.0 feed. You can skip to the end and leave a response. Pinging is currently not allowed. « Juliette Lewis Joins Ryan Phillippe in ‘Secrets & Lies’!!! !